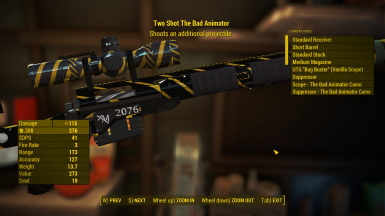 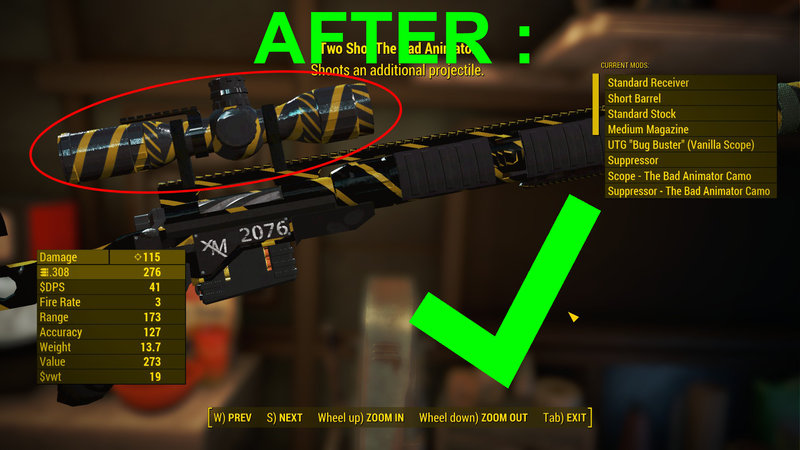 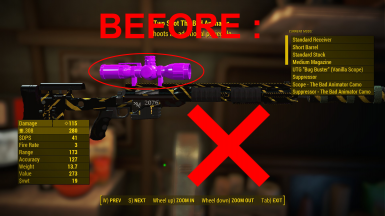 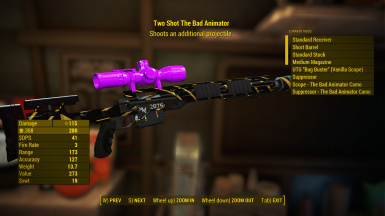 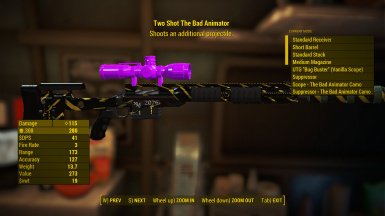 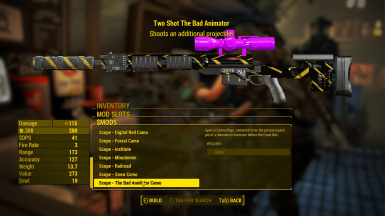 Fixes the purple texture bug (Due to Missing Textures) for the Legendary Wastelander's XM2076 by Giggity12345, The Bad Animator, when equipped with the UTG Bug Buster Scope. 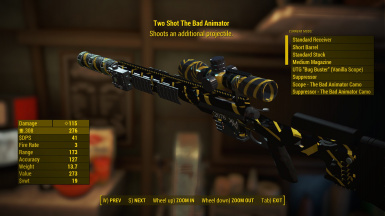 The original Wastelander's XM2076 by Giggity12345 had a bug caused by missing texture files. The missing textures caused the UTG Bug Buster scope to be purple when equipped with "The Bad Animator" camouflage on the Legendary variant of the XM2076. 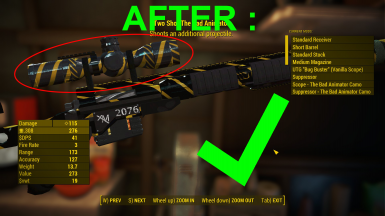 While the original diffuse textures were missing, I managed to work backwards to make a working texture AKA "reverse engineering", from the normals and specular included in the original mod. 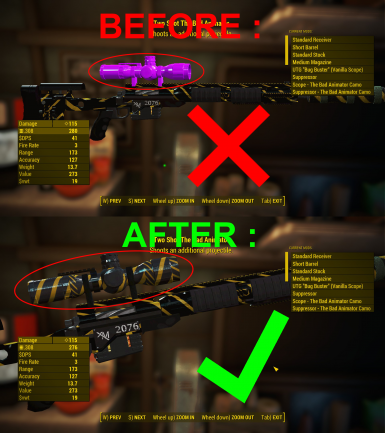 1) Extract to your data folder.